general » GED Mini-Series: Inclusiveness in the Global Trading System – How Did We Get Here? In 1995, a large portion of the international community set the tone for a more inclusive and open trading system. The establishment of the World Trade Organisation (WTO) that year marked a new era in global trade governance, where discriminatory trade measures and isolationist trade policies would be prone to challenge and scrutiny thanks to a rules-based system allowing Members to conduct trade in a more transparent and equitable manner. Still, since the launch of the 2001 Doha round of trade talks very little progress has been made in multilateral talks and the world is now facing a vastly different kind of global trading landscape. One dominated by bilateral talks, preferential trade agreements (PTA’s) and most recently mega-regional free trade agreements. The inclusiveness of the global trading system seems at stake. In our new GED-Project mini-series we want to take a closer look at this on-going change. Over the course of the next four blog posts, we will delve deeply into the history of global trade and trade agreements, the various effects the current trading system is having on developed and developing countries, current trends in the system and a potential way out of the impasse and towards a more inclusive system. Part one of our four-part series will look at the history of preferential trade agreements and aim to give some insight into how we got to the current situation. You can click here, here and here to skip ahead to the next three parts in our series. The first phase (1950s-1980s) refers to the early forms of regionalism, with the European continent spearheading the movement. The establishment of the European Economic Community (EEC) in 1958 and its British-led alternative in 1960 (i.e. EFTA) marked a new era of economic integration although in those times, integration was mostly motivated by consolidation of peace through trade liberalisation. The second wave of regionalism, which roughly took place from 1980 to 1995, was characterised by the strengthening of regional trading systems. Indeed, the European Community was expanding to include new members and the EEC also evolved to a Single European Market with free movement of goods, services, capital and labour. The second wave was also accompanied by, amongst others, the foundation of the Southern Common Market (MERCOSUR, 1991) and the North American Free Trade Agreement (NAFTA, 1994). NAFTA, for instance, proposed new sets of trade disciplines and approaches going beyond the classic coverage of trade in goods found in the GATT (notably on investment and services). The third phase concerns the post-Uruguay Round period, which is noteworthy for the emergence of a more complex and multilayered global trading system, bolstered by a tremendous proliferation of PTAs. From the 1990s onwards, the number of PTAs increased from approximately 70 to 300 in 2010. In merely five years (from 2010 till 2015), an astounding number of 92 notifications of PTAs were made to the WTO and more are yet to be concluded. Nowadays, PTAs in force between developing countries represent about two-thirds of the total number; about a quarter of PTAs are between developed and developing countries; and the rest concern developed nations solely. Approximately half of those PTAs are intra-regional and the remainder cross-regional, with the share of cross-regional agreements increasing over the last years. The fourth phase started in the last years and focuses on deep integration schemes. It overlaps with the third phase in the sense that traditional PTAs continue at the same time to be negotiated across the world. Traditional PTAs can be understood as trade deals that seek mostly to liberalise market access in goods and services without much focus on areas that are not covered by WTO agreements. Deep integration schemes go way beyond mere liberalisation of trade in goods and services, and touch upon drastic reduction of non-tariff barriers, regulatory convergence, common international standards, sustainability concerns, dispute settlement, e-commerce, Part of these deep integration schemes are the so-called mega-regionals and wide-ranging plurilaterals. Generally speaking, these deals are driven by the most advanced economies and seek greatly to facilitate the integration and efficiency of global value chains. There is however a greater number of developing countries getting more and more engaged in deep integration schemes as we can see in the RCEP and TiSA. A more recent, growing reluctance towards mega-regionals in the west, as symbolized by President Donald Trump’s pulling out from TPP, could put further significance on those alternative agreements. In general, a few essential observations can be extrapolated from the rising number of PTAs. First, it seems that trade preferences are becoming less and less important. Indeed, a significant portion of trade between PTA partners is duty-free and around 51 per cent of global trade is already duty-free on an MFN basis (2011). Preferential trade in goods only covers 17 per cent of world trade and the average MFN tariff amounted to about 4 per cent in 2011. Moreover, only 2 per cent of world trade is eligible for preference margins above 10 percentage points. This generally means that there is little space for lowering tariffs within PTAs although certain sensitive sectors, mainly agriculture, remain substantially protected. Second, PTAs currently have a tendency to deepen and intensify the WTO Agreements standards (WTO+), and to go beyond the scope of the WTO multilateral framework (WTO-X). Combined with a nearly stalled Doha Round and with complex international production networks fostering deep integration and increasing market sizes, the classical approach of tariff liberalisation is becoming less attractive, in particular for most developed countries, as they impose low tariff duties. 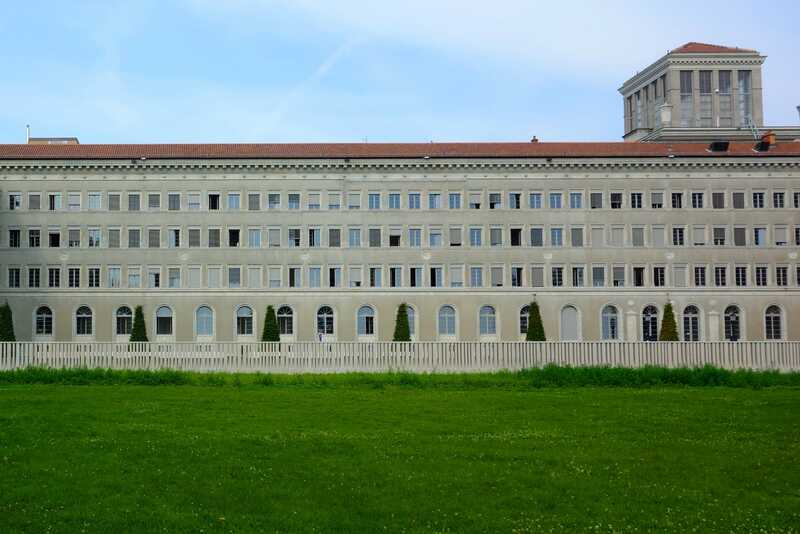 In addition to WTO+ elements, new PTAs tend to include WTO-X “behind-the-border” areas such as investment, competition policy, intellectual property, environmental laws, movement of capital, labour rights, investor-State dispute settlement, anti-corruption instruments, economic cooperation and so forth. These elements are becoming more and more important, in particular in mega-regional deals. It remains to be seen how most recent developments, such as the election of Donald Trump, the subsequent cancellation of the US’ role in TPP and a more general trend towards more protectionist policies in the West will influence the these trends in the formation of global trade agreements. For now you can click here to follow us to part two of our four-part series on inclusiveness in the global trading system and learn more about the various effects PTA’s can have on both insider and outsider parties. Note: The text for this mini-series in large parts derives from an earlier draft by Xiankun Lu and Darius Rao, which resulted from a collaboration between GED-Project and IDEAS Centre in November 2016. For the sake of this piece, preferential trade means trade that benefits from preferential treatment within the scope of a free or preferential trade agreement or regional trading scheme. This detail is important as we could rightfully assume that trade conducted on a most-favoured nation (MFN) basis amongst WTO Members is also preferential, as not all countries in the world are parties of the organisation. The conclusion of the Uruguay Round (1986-1994) led to the establishment of the WTO in 1995. E.g. the Transatlantic Trade and Investment Partnership (TTIP) between US and EU, the Transpacific Partnership (TPP) between Asia-Pacific countries, the plurilateral Trade in Services Agreement (TiSA) between pro-services WTO Members (including some developing countries) or the Regional Comprehensive Economic Partnership (RCEP) between ASEAN countries and their big neighbours China, India, Japan, etc. World Trade Organization, World Trade Report 2011 – The WTO and preferential trade agreements: from co-existence to coherence, WTO, Geneva, 2011. E.g. further liberalisation in tariffs, services, relaxed rules of origin, elimination of non-tariff barriers, etc. See World Economic Forum, Mega-Regional Trade Agreements – Game Changers or Costly Distractions for the World Trading System?, WEF, Geneva, 2014.